Louis de Broglie (In full:Louis-Victor-Pierre-Raymond, 7th duc de Broglie) was an eminent French physicist. He gained worldwide acclaim for his groundbreaking work on quantum theory. In his 1924 thesis, he discovered the wave nature of electrons and suggested that all matter have wave properties. He won the 1929 Nobel Prize for Physics. Born in Dieppe, France on 15 August in 1892, Louis de Broglie grew up in a rich, aristocratic family. He chose to study history after passing his school-leaving certificate in 1909 and he obtained a degree in history in 1910. Broglie soon gained an interest in science and acquired a degree in physics in 1913. During the World War I, he was enlisted in the French Army. He was posted in the Eiffel Tower, where he had plenty of time to carry out experiments in radio communications and engineering. After the war, Broglie started working with his brother, Maurice, in his lab. Most of the work in Maurice’s lab involved X-rays, which made Louis think about the dual nature of light; more particularly the wave–particle duality. Broglie soon suggested in his thesis for a doctorate degree that matter, also, might behave in a similar manner. His thesis, “Recherches sur la théorie des quanta” (Research on the Theory of the Quanta), centered on his revolutionary theory of electron waves. When the French Academy became aware of his theory of electron waves, it caught Albert Einstein’s attention, who had high praise for Broglie’s bold ideas. That inspired the birth of wave mechanics. Broglie’s theory resolved and offered an explanation to a question that was brought up by calculations of the motion of electrons within the atom. It was later independently proved in 1927 by G.P. Thomson and Clinton Davisson and Lester Germer that matter actually could show wave-like characteristics. Louis de Broglie won the 1929 Nobel Prize in Physics for his amazing work. Broglie stayed at the Sorbonne after earning his doctorate, being appointed a professor of theoretical physics at the newly-established Henri Poincaré Institute in 1928, where he remained until his retirement in 1962. Louis de Broglie acted as an adviser to the French Atomic Energy Commissariat after 1945. He won the Kalinga Prize by UNESCO in 1952, and became a foreign member of the British Royal Society, as well as the French Academy of Sciences. 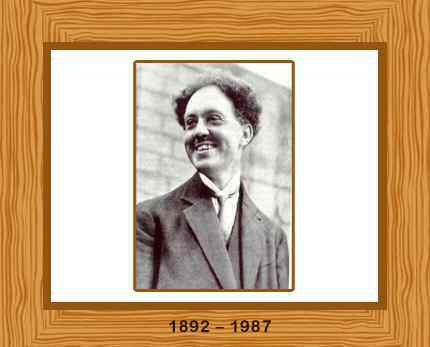 Broglie died on March 19, 1987 in Louveciennes, France. He was 94 years old. Recherches sur la théorie des quanta (Researches on the quantum theory), 1924. Ondes et mouvements (Waves and motions), Gauthier-Villars, 1926. La mécanique ondulatoire (Wave mechanics), Gauthier-Villars, 1928.